The old adage, “it’s not how you start, it’s how you finish” was never more in evidence than in 1973 for the Dodgers. After steadily moving to an 8 1/2-game lead in July and maintaining the first-place spot until September 4, the Dodgers tumbled hard, losing nine straight and falling into second place behind the Cincinnati Reds. For 80 days the Dodgers had stood proud in first place, but a lack of offense and some injuries mixed in spelled the end of the long run. 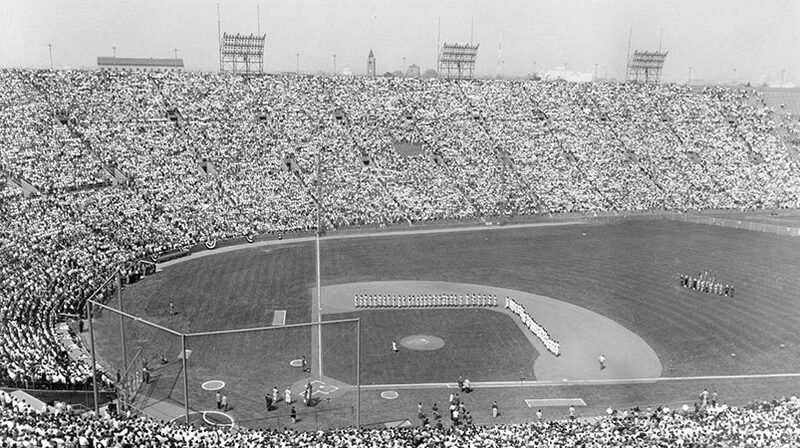 One major bright spot was the emergence of “The Infield.” Between games of a doubleheader on June 23, Walter Alston made the decision to start Steve Garvey at first base. Garvey had shown flashes of brilliance at the plate, but his scatter-arm fielding at third base in the past made Alston reluctant to continue him at the position. With only four previous starts at first base, Garvey wanted to get in the game and was ready to play, despite a lack of experience there. The experiment, needless to say, turned out to perfection as Garvey delivered a couple of hits in a 5-1 win. Six days later, the quartet of Garvey at first, Davey Lopes at second, Bill Russell at shortstop and Ron Cey at third started again. They went on to play 51 times together for the balance of the 1973 season. Garvey, Lopes, Russell and Cey would become household names for the next eight and a half years, as they set the longevity record for playing together as a Dodger infield unit. 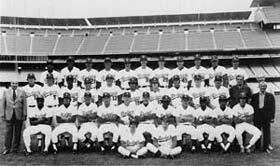 While the Dodger offense took a second half of the season snooze, falling off .047 points to .230 from the first half, injuries also played their part as Willie Davis, Don Sutton, Andy Messersmith, Jim Brewer and Lopes all went down. The Dodgers .590 winning percentage went for naught. The young Dodger players were blossoming, while the veterans like Davis still contributed heavily with his .285 batting average, 16 home runs and 77 RBI. Pinch-hitter deluxe Manny Mota batted .314 and, as usual, came through in the clutch. Sutton was 18-10 on the mound, while Claude Osteen finished 16-11 and Tommy John at 16-7. Brewer had 20 saves and an All-Star appearance, while Charlie Hough came through when he got the bullpen call from Alston. 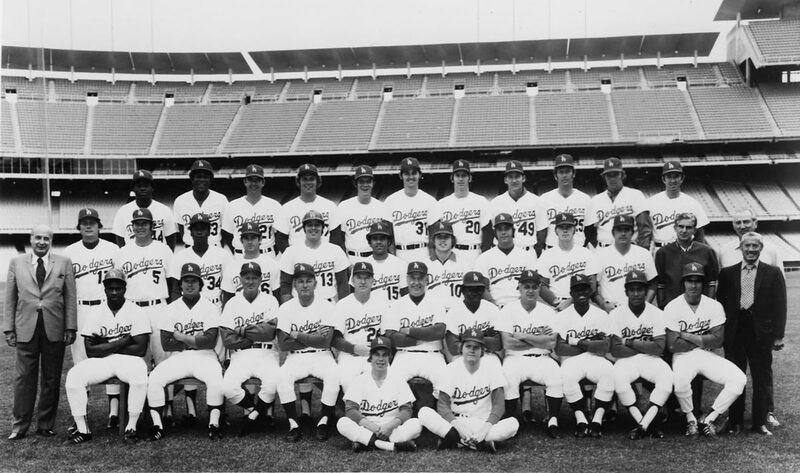 The Dodgers solidified their defense, reducing the number of errors from the 1972 squad by 37, with the most noticeable difference at third base. 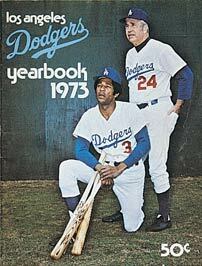 In 1972, the Dodgers committed 53 errors at third base, while Cey made only 18 errors in 146 games in 1973. Ken McMullen was clutch off the bench in leading to 41 come-from-behind victories for the Dodgers. Click image for a larger view1973 Dodger YearbookCopyright © Los Angeles Dodgers, Inc.
Click image for a larger view1973 DodgersCopyright © Los Angeles Dodgers, Inc.